WHEN Mt Hawthorn dad Dan Loden took over as primary carer for his son Aidan, there was little in the way of support for dads. “I ended up joining my wife’s mothers group as a set of peers I could share experiences with,” he says. “This was great, but also did not recognise the distinction between mums and dads. “The group of women have been fantastic to me and they’re quite close friends,” he says, but the conversations could be hard to relate to. “The obvious thing was conversations about breastfeeding. “They got quite detailed about issues they were having, which I guess was an insight for me into the realities of being a breastfeeding mother,” he says, confiding he was a bit worried they’d be uncomfortable feeding in front of him. A Vincent councillor, Mr Loden was the only male in his office to be the primary carer, but the decision made sense: his wife Fi had the higher paypacket as a geologist and was keen to go back to full time. Then someone at the mother’s group mentioned “The Fathering Project”. 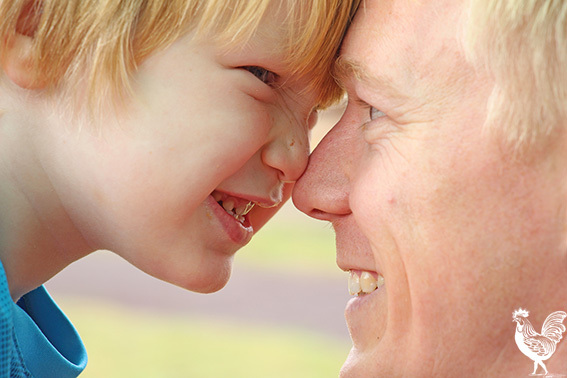 Run out of UWA, it uses research-based evidence to help men become better dads. Mr Loden attended some of their workshops in Morley, and now Mt Hawthorn Primary School P&C member Steve McQuillan is bringing the program to local dads. After seeing what they do, Mr Loden says all dads should go along. “It’s a two-hour session where one of the reps from the Fathering Project comes along and gives a presentation,” he says. As well having other dads to chat to, they learn how to have meaningful interaction with their kids even if they don’t have much time. “You can be a dad who works long hours and still have a really engaging relationship with your kids, as long as the time you spend with them is really quality time,” Loden says. The Fathering Project presentation, open to school dads and father figures from kindy to year 6, is on June 8 at 7pm at the Mt Hawthorn Primary School.